Stay on trend with this fresh floral print dialled watch from Olivia Burton new season floral collection. 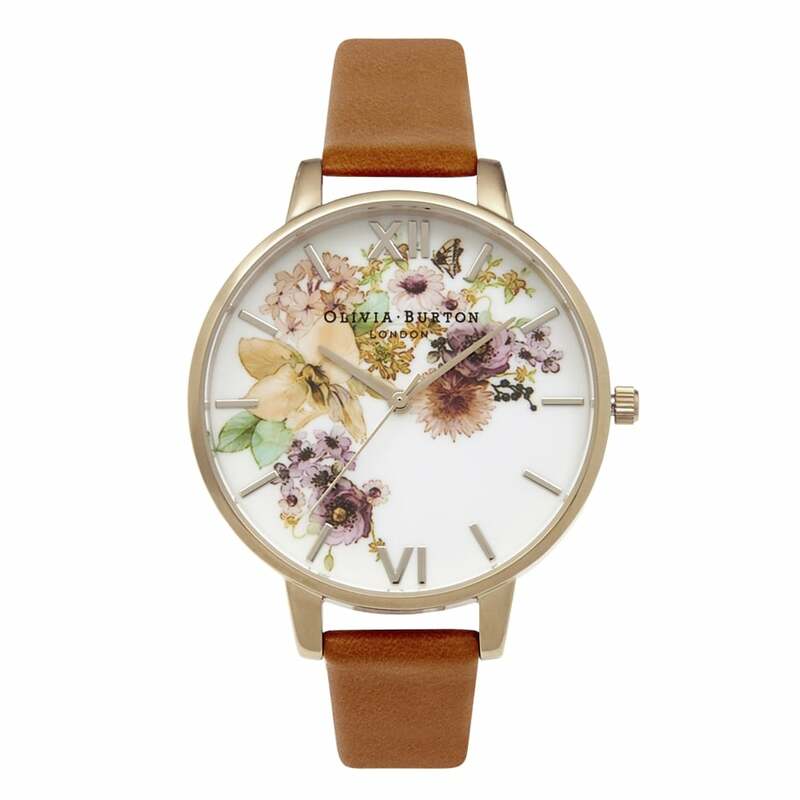 With a striking white faced dial and beautiful watercolour blooms pattern that pops with excitement for a stunning finish. The perfect accessory to achieve that chic look every girl wants.